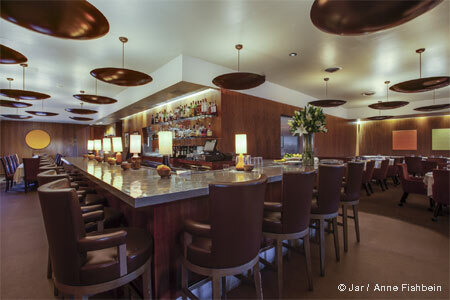 An L.A. bistro with a cozy patio, Tart is the restaurant of the rejuvenated Farmer’s Daughter Hotel. : With a bar that stretches across one entire side of the restaurant, Tart in the quaintly named, rejuvenated Farmer’s Daughter Hotel is not a place for country bumpkins to gather but for hipsters to grab a drink, a bite or a leisurely brunch accompanied by ice-cold mimosas. The large patio between the restaurant and the hotel lobby provides cozy corners for romance over dishes such as hush puppies or Southern fried chicken. Since the restaurant is part of a hotel, breakfast here is a main event rather than an afterthought. Among the options are build-your-own omelets and Belgian waffles.